Once again, I got the urge to share a few quotes from a couple of famous individuals. One of the individuals is an actress, the other a politician. 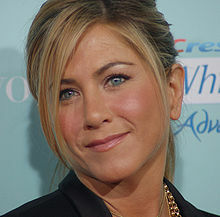 #1 This quote comes from actress Jennifer Aniston and for our purposes we shall call it the profound quote. This was in response to a Russian journalist who had the audacity or temerity to ask her a question about love/marriage/men. Her response: ” Love is love and family is what is around you.” Wow, is that deep. For our next 2 quotes we hear from Sen Harry Reid, D, NV. His first quote we call characterize as an intellectual quote. This one was actually about 3 weeks ago and came at a press conference announcing that this year’s ambitious climate legislation would shelved. We don’t have the votes he said. ” It’s easy to count to 60. I could do it by the time I was in eighth grade.” Shucks, Senator , I believe I learned it way before then. Finally, this one could have a couple of names. Maybe politically unwise or maybe I just don’t care what they think. This was at a campaign stop in Nevada , speaking to a Hispanic audience. ” I don’t know how anyone of Hispanic heritage could be a Republican. Do I need to say more? ” Apparently, he did. Just a day or so later comes this from his campaign. 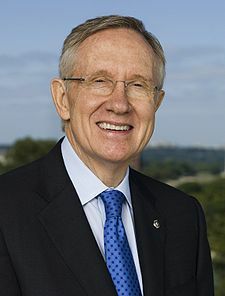 ” Sen Reid’s contention was simply that he doesn’t understand how anyone, Hispanic or otherwise would vote for Republican candidates.” Because after all they oppose all the good things that Democrats are trying to do. Perhaps the senator could ask some folks in November. Or , do you think he just believes in a one party system? Nah! What was he thinking or was he thinking at all ? Came across the following quote in a recent issue of World magazine. It comes from the enlightened mind of Woody Allen. Oh, he is referring to President Obama and voicing his frustration that there are those (read Republicans ) who are trying to block the president’s agenda. Bet Obama agrees with him.